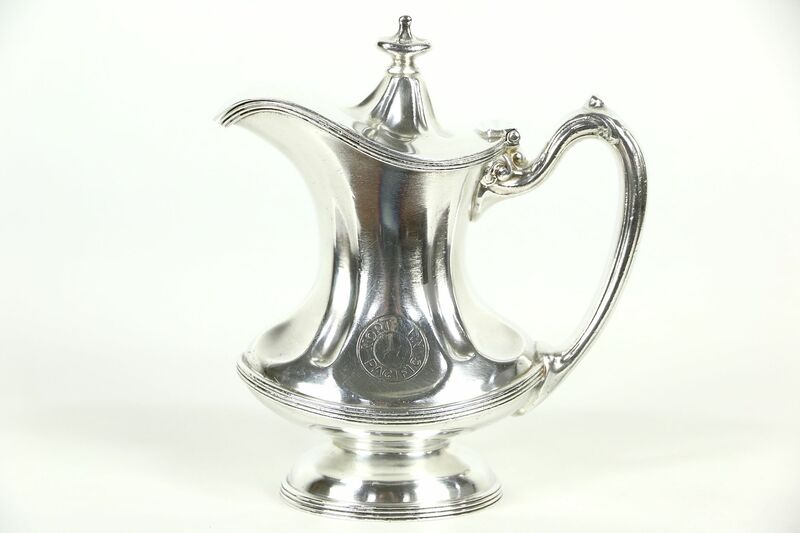 A graceful "hotel silver" coffee pot was engraved for the "Northern Pacific" Railroad around 100 years ago. Signed by famous maker, "Reed & Barton, Silver Soldered," there is just enough wear for a little antique character. Size is 6" across, 3 1/2" deep and 6 1/2" tall.